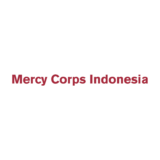 Under the overall leadership of the Executive Director, and directly reporting to the Program Manager, the Deputy Program Manager – Emergency Response will provide management oversight for Mercy Corps’ Lombok and Central Sulawesi response programs, The Deputy PM will be responsible for providing support to the program team, coordinating support and engagement of MCI’s Indonesia Response Team and ensuring effective engagement with partners as well as stakeholders. While he/she will assist in leading the implementation of the response strategy and work plan, ensure quality implementation of the recovery program in Lombok and Central Sulawesi with a view to manage communications with internal and external stakeholders, the successful candidate will also assist to lead our efforts to put in place a recovery strategy as Mercy Corps Indonesia is positioning itself to help the affected population transition from the emergency stage to a recovery stage. The Deputy Program Manager will supervise, the Admin coordinator, communication officer and Data management Assistant in Jakarta and work directly with field based Lombok and Central Sulawesi response Team Leaders and key team members during response implementation, and provide regular updates and inputs for donor reports and communication products. He/She will attend regular coordination meetings and events with stakeholders, contribute to international fundraising efforts and lead local fundraising support in Indonesia. He/She will provide advice on team structure and response management and provide support on completion of required reports and documentation to fulfill internal MC requirements. Experience working with local authorities, national and international NGOs and UN cluster system. This position will be hired as temporary staff for 6 months. Vacancy will be closed 14 April 2019 and only short listed candidates will be contacted for interview. We look forward to hearing from those who are interested in taking this opportunity to grow and develop with us.